The Massachusetts Clean Energy Center (MassCEC) has created a novel way for proposals to simultaneously help MassCEC achieve its mission of accelerating the success of clean energy technologies, companies, and projects in the Commonwealth while also creating high-quality jobs and long-term economic growth for the people of Massachusetts. Because of a MassCEC grant, Medford Technical Vocational High School (MVTHS) students will learn to install energy efficiency devices on their own campus, providing real “hands-on” installation experience. The students-in-training are future electricians, HVAC technicians, and refrigeration technicians. In addition to installation experience, the students will learn how to evaluate the results of the new technology. They will perform measurement and verification of the new technology and then deliver a report of their results to MassCEC and their instructors. 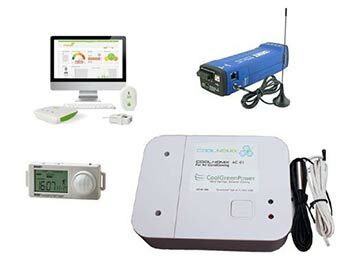 Part of the grant funds professional grade and prosumer grade monitoring tools to record energy use before and after installation of the energy efficient devices. Today, a third of energy jobs are focused on efficiency as utility customers increasingly seek cost saving measures and smarter energy consumption methods. According to Energy.gov, more than 133,000 energy efficiency related jobs were added in 2016. MVTHS promotes career and technical education. Teaching students about energy efficiency at an early age will help continue the energy efficiency focus, giving the next generation of workers the skills they need to enter the workforce. This is not a one-time event. MassCEC’s funding provides 10 devices so that multiple installation and measurement projects can be performed. The monitoring tools are MVTHS’s to keep, not only for these multiple installations, but also for future educational lessons and projects. The energy efficiency devices will be installed on a number of large commercial air conditioning systems and on three walk-in refrigeration units in the kitchen. MassCEC anticipates that MVTHS will save approximately $2,230 and reduce 67 tons of carbon each year. Actual results will be compiled and published by the students. The energy efficient COOLNOMIX® devices reduce energy use 25-35 percent on average for commercial air conditioning and refrigeration systems. As a local Massachusetts company, we will be supporting the training and overseeing the initial installation of COOLNOMIX® systems. Stay tuned for the energy saving results from MVTHS later this fall when the students complete their first energy analysis. In early 2018, a new group of students will install devices on additional cooling units at the school in order to continue developing experience and skills for the Massachusetts clean energy economy. As one example, Medford is opening a commercial kitchen for its culinary arts program, and students will evaluate COOLNOMIX performance on the latest cooling systems. MVTHS anticipates that after installations at the high school, students will also have the opportunity to partner with Medford to implement this energy efficiency technology in buildings across the city.